While the Swiss are famous for leading the charge in fine watchmaking, there are other nations that boast a proud history of horology. 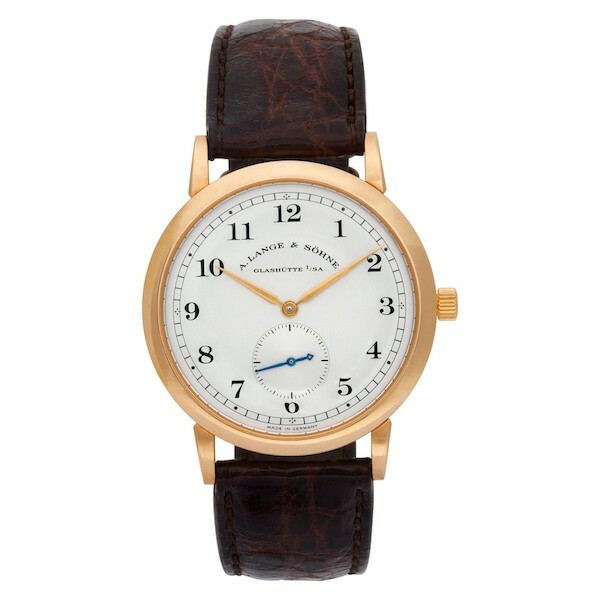 Take for example the German watchmaker, A. Lange & Söhne. Based in Saxony, the heart of German watchmaking, A. Lange & Söhne is undoubtedly one of the top producers of haute horology. If you’re unfamiliar with the intricacies of this renowned luxury watch brand, then read our guide to different A. Lange & Söhne models to discover just what this watch manufacture has to offer. In 1845, Ferdinand A. Lange established a watchmaking workshop in the town of Glashütte, Saxony. Later joined by his son, the family business went on to produce some of the most luxurious pocket watches in the world, often coveted by royalty. A century after the company’s founding, the A. Lange & Söhne workshops were bombed during a raid on the very last day of World War II in 1945. Eventually, the company was taken by the East German state and the Lange family had to flee. Prior to this appropriation, Walter Lange, the great-grandson of the founder, had trained as a watchmaker in hopes to continue his family’s legacy. 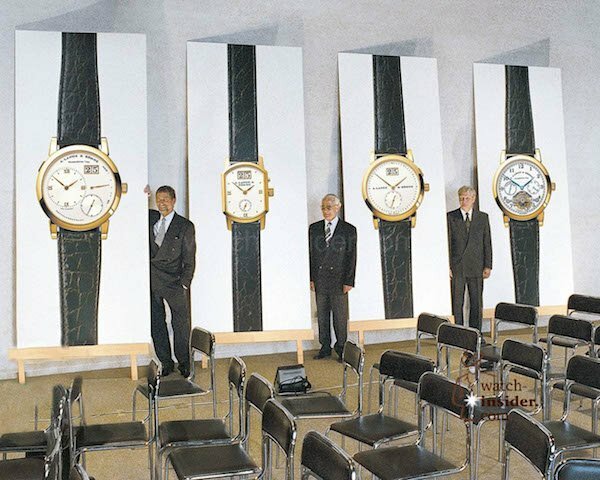 East and West Germany reunified on October 3, 1990–almost one year after the fall of the Berlin Wall–and Walter Lange re-registered A. Lange & Söhne as a trademark in December that very same year. It wasn’t until 1994 that Walter Lange and the rest of his team presented four models to the world: Lange 1, Arkade, Saxonia, and Tourbillon Pour le Mérite. 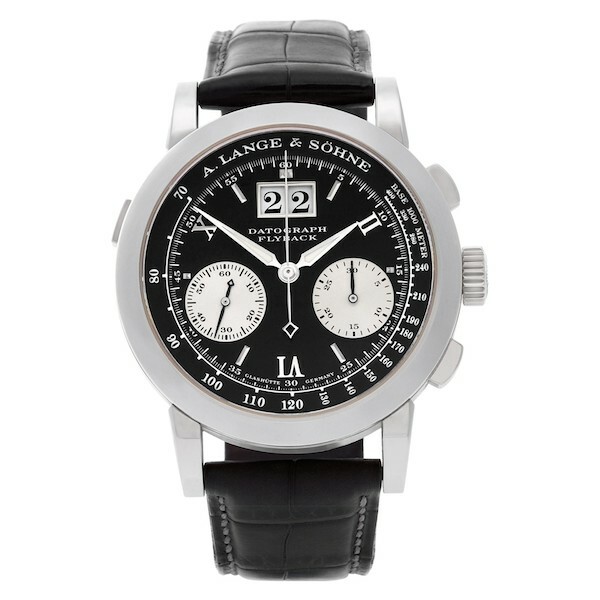 The new A. Lange & Söhne watches were met with great success and the company was bought by the Richemont Group in 2000. Today, A.Lange & Söhne is regarded as the pinnacle of fine German watchmaking and continues to create incredibly beautiful and technical timepieces. 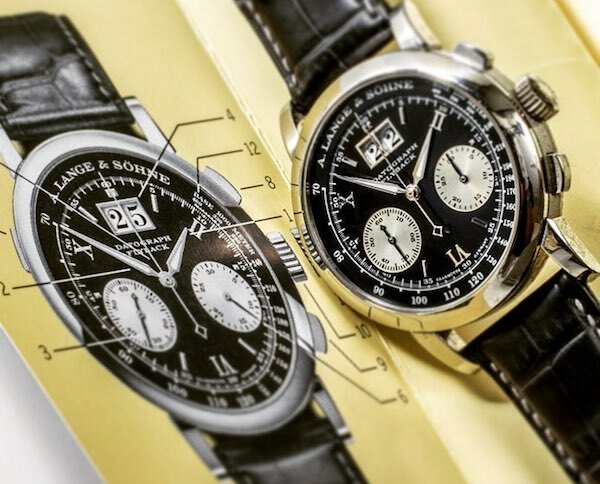 Let’s take a closer look at different A. Lange & Söhne models. Since its debut in the 1990s, the Lange 1 has remained as A. Lange & Söhne flagship watch. Characterized by an asymmetric dial layout with an oversized date window fashioned after the Five-Minute Clock of the Semper Opera House in Dresden, the Lange 1 is the most recognizable model from the company’s catalog. Also on the dial are an off-center hour and minute subdial, a running seconds subdial, and a power reserve indicator. Lange 1 timepieces sport 38.5mm cases that are mostly crafted in precious metals–there are very few examples in stainless steel–and come fitted with leather straps. The sapphire casebacks of the watch reveal the stunning A. Lange & Söhne manual-wound movements within with Ferdinand A. Lange’s groundbreaking invention, the three-quarter plate made of German silver. Prior to 2015, Lange 1 watches ran on Caliber L901.0 with a 72-hour power reserve thanks to a twin mainspring barrel. In 2015, A. Lange & Söhne launched a new generation of Lange 1 watches with a brand new manual-wound movement (the 50th to come out of the manufacture), the Caliber L121.1 with the same power reserve, but with a larger free-sprung balance wheel and instantaneous jump date feature. Presented in 1996, the A. Lange & Söhne 1815 collection of watches pays tribute to the birth year of the founder, Ferdinand A. Lange. As such, these modern ALS timepieces carries on the design traditions of vintage pocket watches from the center hands and subdial seconds layout to the Arabic numeral hour markers to the railway-track minute scale. 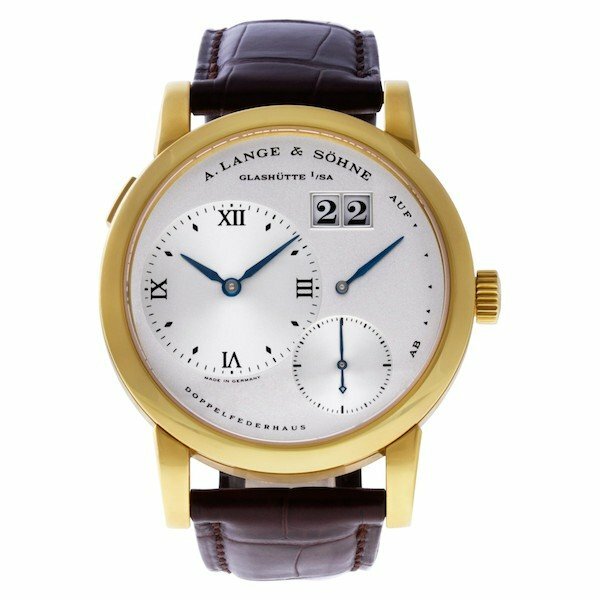 Take for example the A. Lange & Söhne 1815 ref. 206.032. It dons a 36mm rose gold case with matching rose gold details on the silvered dial. Note the blued hands on the running seconds indicator–a hand color often found on vintage pocket watches. The back of the watch gives us a view of the exquisite manual-wound Lange movement within while the watch’s classic style is finished with a brown alligator strap and 18k rose gold tang buckle. In 1999, A. Lange & Söhne caused a sensation with the launch of the Datograph, the brand’s signature chronograph family, which sits under the Saxonia collection. While A. Lange & Söhne does offer more complex versions of the Datograph such as perpetual calendar editions and tourbillion models, the flyback chronograph Datograph is the quintessential model. The A. Lange & Söhne Flyback Datograph ref. 403.035 carries a 39mm platinum case houses a black dial that is packed yet balanced. There’s the iconic oversized date at 12 o’clock followed by the duo of registers. Plus, the tachymeter scale runs the periphery of the dial alongside the minute track, while applied Roman numerals mark the hours. Flip the watch around and you’ll be treated to a full view of the hand-wound Caliber L951, which does not hide under a three-quarter plate but rather, happily shows off its intricate construction. After three years of producing hand-wound timepieces, in 1997, A. Lange & Söhne launched their first automatic watch with the Langematik. While early editions included time-only and time and date models, the company soon followed those up with more complex versions like the Langematik Perpetual Calendar. The A. Lange & Söhne Langematik Perpetual Calendar ref. 310.032 starts with an 18k yellow gold 38.5mm case and silvered dial. On that dial, we see the combination of complications that makes this particular Lagematik a practical piece of wristwear. Along with the center hour and minute hands, the Langematik Perpetual Calendar features the small seconds, day, date, month, moonphase, am/pm indicator, leap-year indicator and zero-reset mechanism. Of course, as a perpetual calendar, as long as the watch keeps running, it’ll correctly update automatically taking into consideration the number of days in a month as well as leap years. As with all perpetual calendar watches, the only time the watch will need a manual adjustment is in 2100 when the leap year will be disregarded. With an intriguing history, its progression of German haute horology, spectacular finishes, intricate movements, and iconic designs, A. Lange & Söhne is the epitome of fine watchmaking. Coveted by many but owned by just the few who, A. Lange & Söhne watches are simply exemplary and worthy of their grail status. 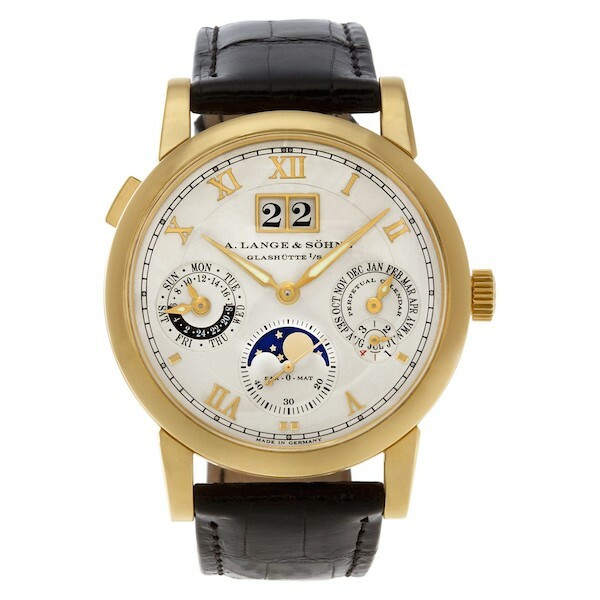 And with a wide range of different A. Lange & Söhne models to choose from, it might be a challenge to pick just one. awesome, keep սp the good work!